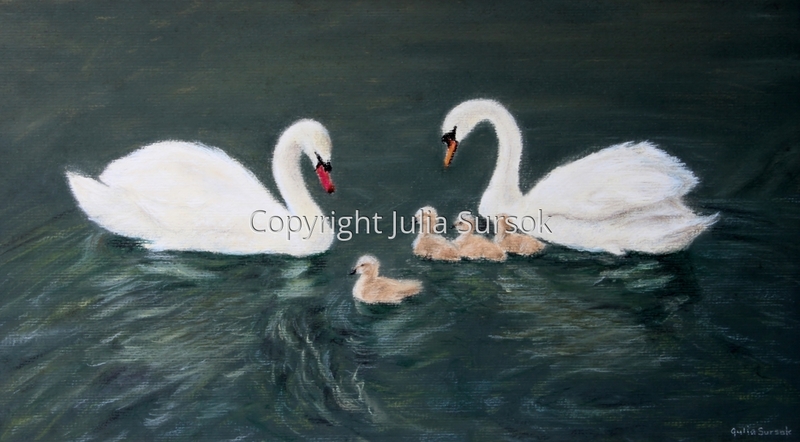 Wildlife seascape and Landscape Artist featuring realistic paintings in pastel. Pastel on paper. A pair of swans closely guarded their cygnets as they tried the water for the first time. Framed with double mat, silver colored frame with colored undertones and 0.78" glass. 5" x 9"8" x 14.5"11" x 20"14" x 25.25"17" x 30.75"